17th century miniatures at the Portland Collection, Harley Gallery, Worksop, Nottinghamshire. It all started as some tiny illustrations in old books. The images in medieval books such as prayer books developed into the most amazing art we now call miniatures. 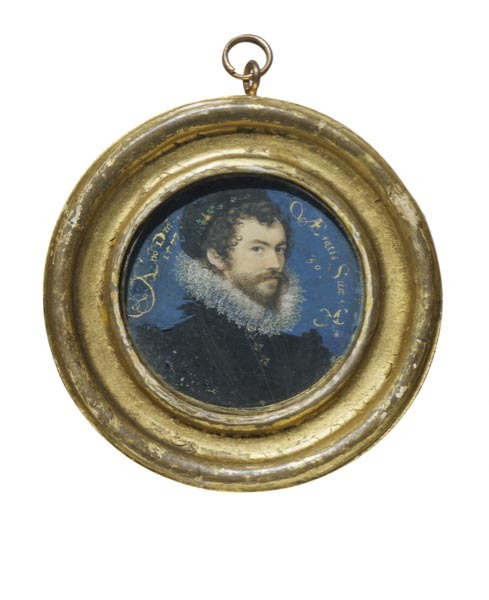 In the early 16th century the first proper stand-alone portrait miniatures appeared. They became quite popular with monarchs and aristocracy as little precious gifts. 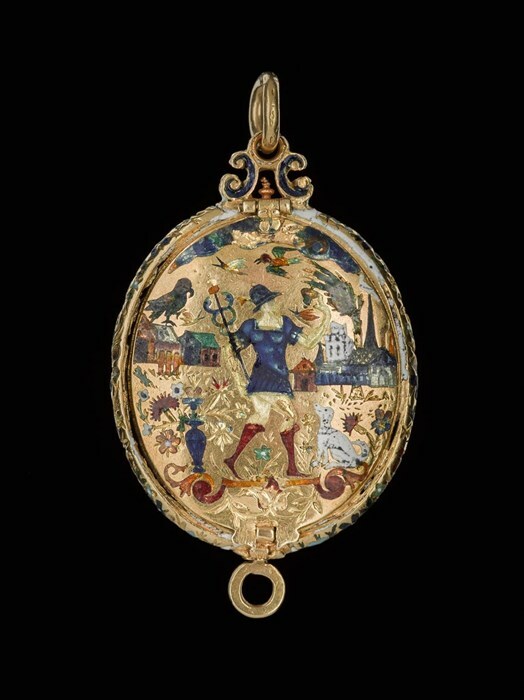 The Fettercairn Jewel, National Museum of Scotland, Edinburgh. 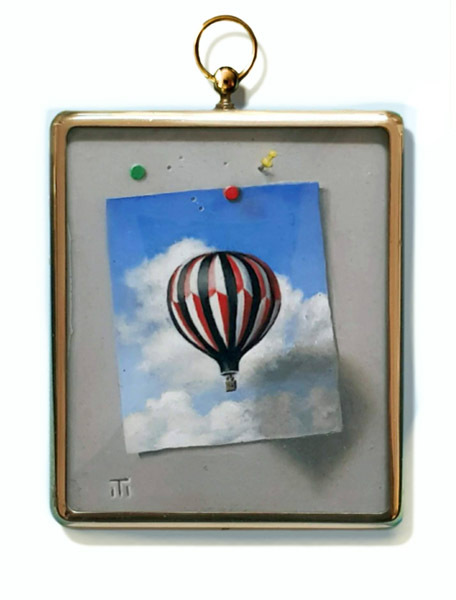 An jewelled and enamelled locket intended to hold a miniature inside. This is the back. 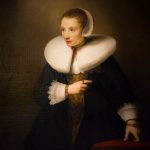 During Elizabeth I’s reign courtiers started using them as a sign of their loyalty to the queen. They could also be used in match making: a family would send a little portrait of one of the parties across. At only 4 or 5cm tall, often oval or round, they were ideally sized for post and travelling. Lovesick couples could take a portrait of his or her other half with them wherever they went. 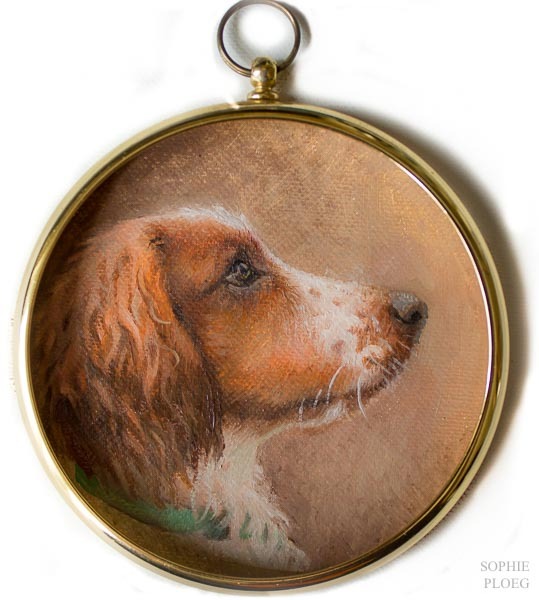 Sometimes the little portraits were worn on the body in lockets or pendants, although many of these early miniatures have now lost their original casing or frame. The 16th and 17th century miniatures were usually painted on vellum (prepared thin animal skin, made suitable for writing or painting on) with a watercolour type paint. These little pictures were subsequently cut out and mounted onto a more rigid surface. A popular surface at the time was, funnily, playing cards. Apparently the hearts and diamonds can still be seen on the back of some of these miniatures. Isaac Oliver, Portrait of a Young Gentleman, c. 1605, watercolour on vellum, Denver Art Museum. 5.7cm tall. 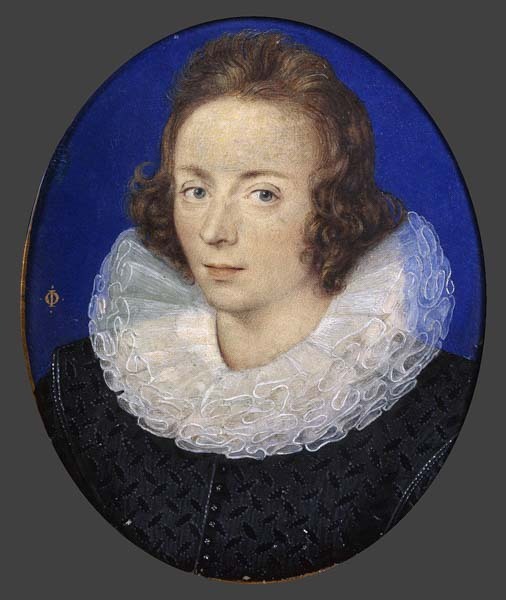 Famous miniature painters include Nicholas Hilliard (c. 1537–1619) and his pupil Isaac Oliver (c. 1560–1617). Hilliard also produced large scale paintings such as the well known Pelican and Phoenix portraits of Elizabeth. 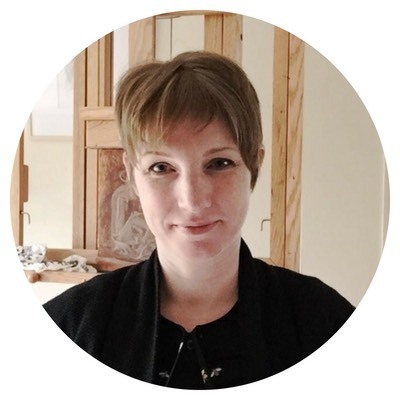 Very recently a new attribution has surfaced: the spectacularly looking Rotchild portrait which I still hope to see at Waddesdon Manor before they put it into their research labs. Hilliard used a similar technique in his large paintings as in his miniatures. The miniatures are very fragile indeed. 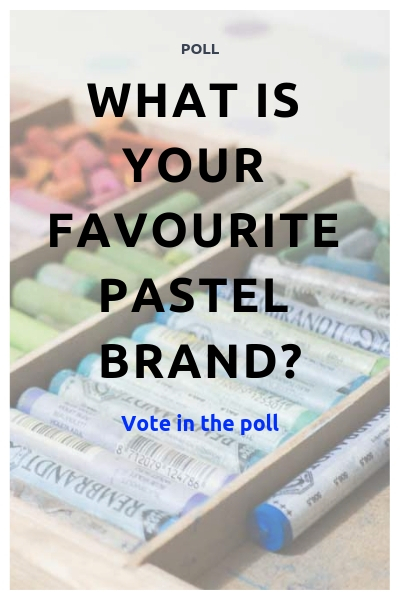 Not only because they are over 400 years old but also because of the materials used. 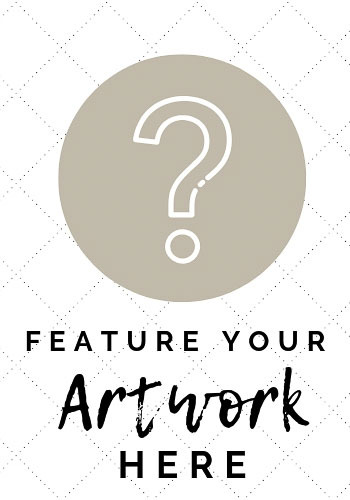 Paint has faded, surfaces were damaged by wear and age. Many of the faces portrayed are now anonymous. But many of the late Tudor and Jacobean portrait miniatures look very realistic, giving us a real idea of what these people looked like (something we can’t always say of the large scale portraits from the same time). 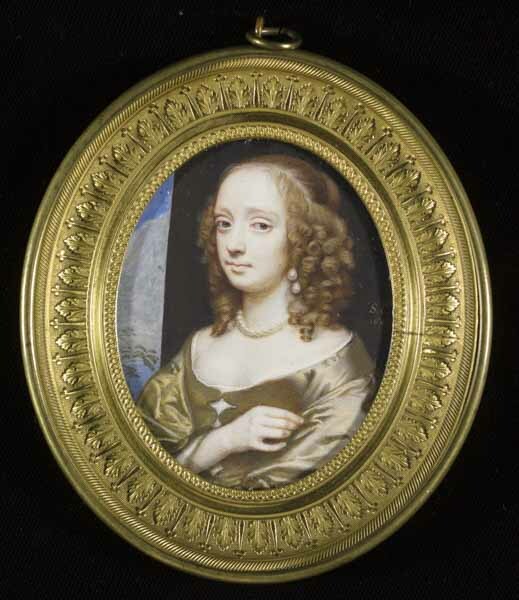 Hilliard even created a rare self portrait in miniature and he also left a book on how to paint miniatures. A copy of it, hand written by an anonymous scribe a few years after Hilliard’s death is in the Edinburgh University Library, although it is not complete. 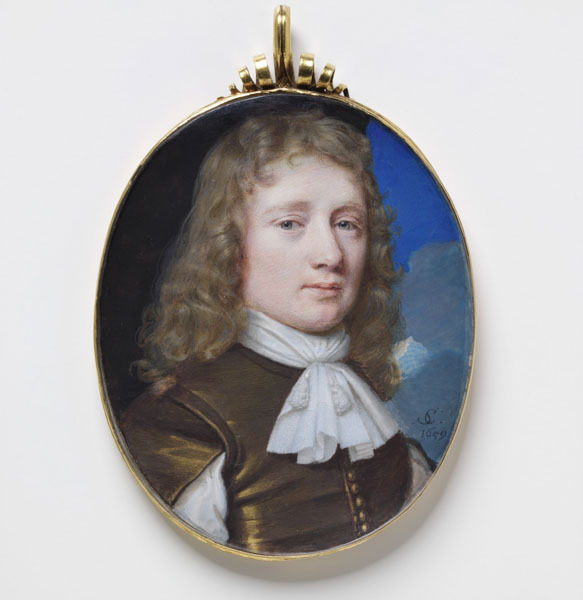 Later on in the 17th century miniatures remained popular no doubt due to the impressive talents of Samual Cooper (1609–1672). He was employed by the Cromwell family and later after the Restoration became the ‘King’s Limner’ in 1663. 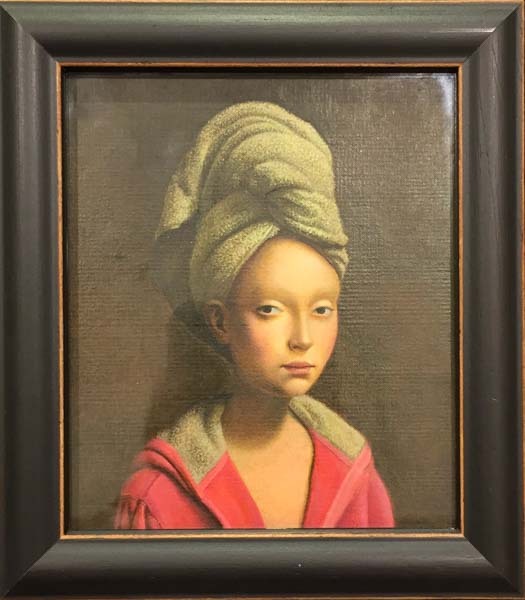 His work is incredibly refined and subtle. 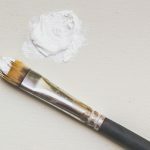 In the 18th century it became more popular to paint on ivory, although vellum, copper and paper remained popular as well. Miniatures became even smaller in the 18th century and it was hugely popular as a genteel past time. Most miniaturists of the time had not artists’ training at all. 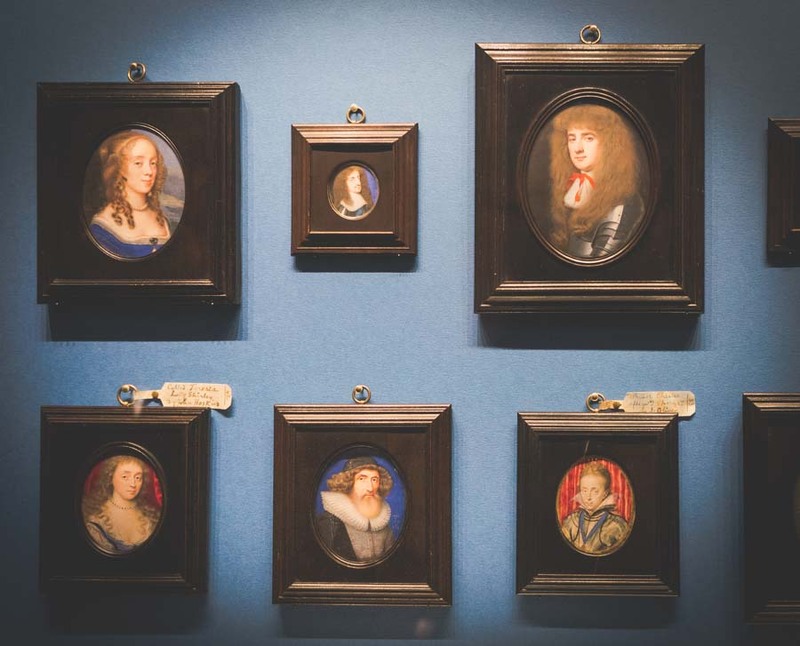 By the time the Royal Academy was founded in 1768 miniatures were exhibited amongst the much larger works of the academicians. 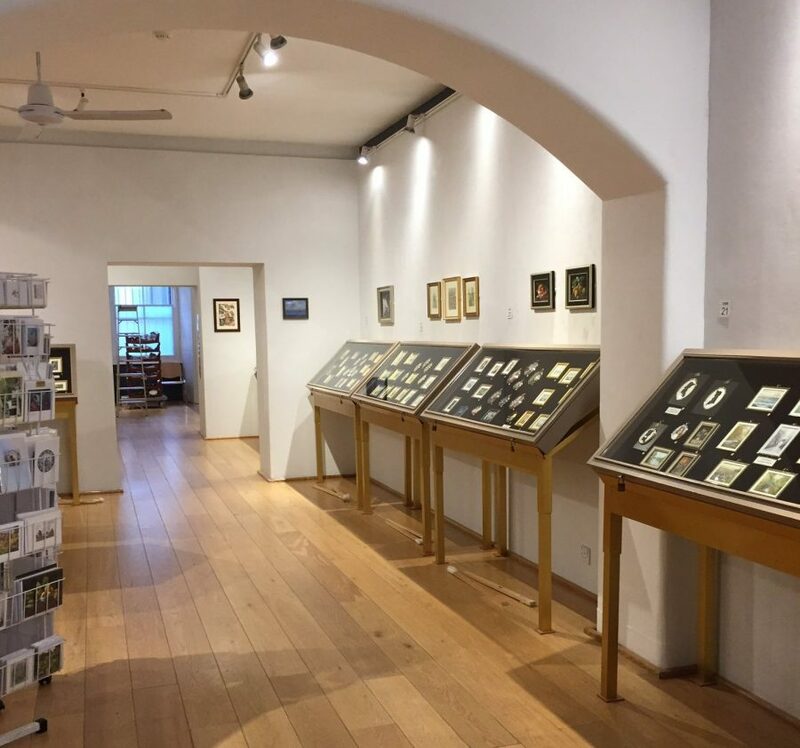 When photography took hold of the imagination of the masses in the 19th century, miniatures lost their popularity a little, although there was a brief revival in 1896 with the founding of the Royal Society of Miniature Painters. The society was founded by Alyn Williams (1866-1941), a welsh miniature painter who studied at the Slade School of Art and lived in London and New York. 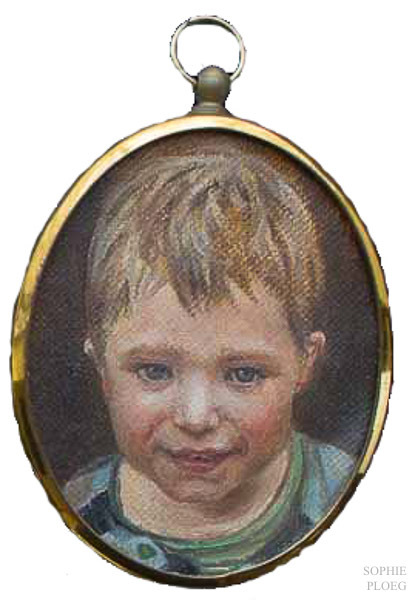 Besides the British miniature society he also helped to establish the Miniature Painters, Sculptors and Graver’s Society of Washington in 1931. The London society became ‘Royal’ in 1904. The society is having its 121st annual exhibition right now at the Mall galleries in London (until 1 October 2017). The winner of the highest accolade this year is Raoof Haghighi, a name familiar to us as his portrait was one of my favourites in this year’s BP Portrait Award. I am very pleased for him. Unfortunately I could not go and see the exhibition as I was caught by a cold but I see from the photos others have published online my two little oil paintings are in good company indeed. 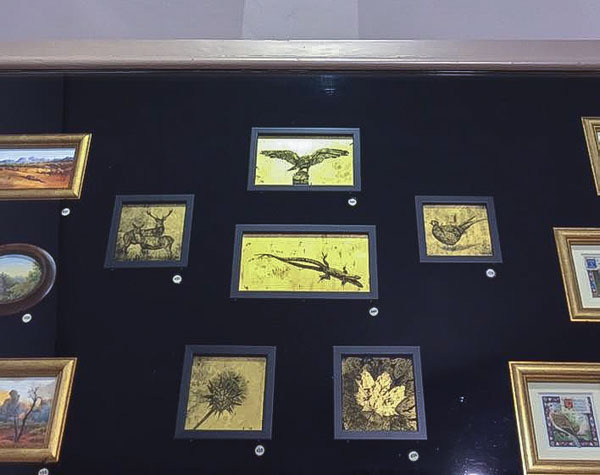 Miniatures by Claire Hucker, Gold leaf on glass etching. 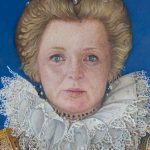 I hope you will have a chance to go and see the exhibition at the Mall Galleries in London and why not consider commissioning your own very special portrait miniature? Just email me so we can discuss options and cost. 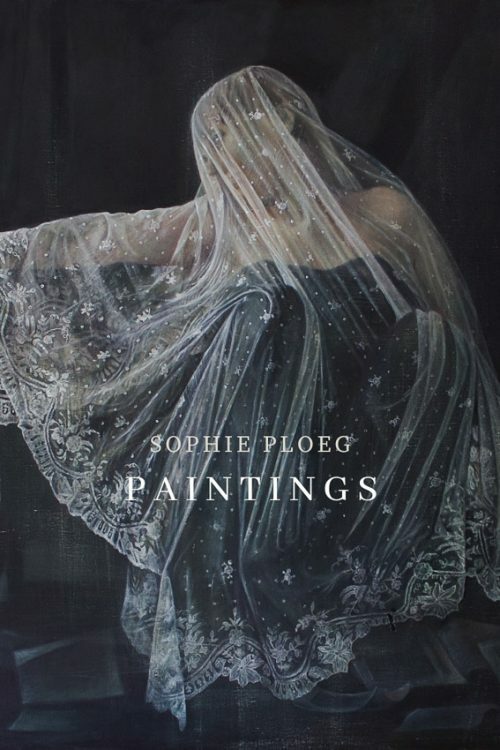 * My Pinterest Board of Miniature Paintings – will keep adding to it!! Hi Jauncey, thanks so much! Indeed, miniatures are best seen in real life (with a magnifying glass). They are sooo intricate and beautiful.